New research suggests that interbreeding between early humans and Neanderthals was not the rarity scientists had once thought it was, but rather a more regular occurrence over several thousands of years. In a study published Thursday in the journal Nature Ecology and Evolution, a pair of researchers from Temple University explained how the interbreeding started about 75,000 years ago — not long after early humans moved out of Africa and into Europe and certain parts of Asia. There, the early humans first encountered Neanderthals. 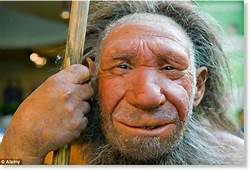 As noted by History, earlier studies had suggested that most modern humans have about 2 percent Neanderthal DNA as a result of interbreeding between the two species.